For Dr. Mayfield, the day of your cosmetic surgery is your day, and your day only. He avoids scheduling any other procedures or office appointments that day so that his entire focus will be on you, and you alone. He will not rush through surgery or cut corners. No distracting phone calls or pages are allowed. Because every detail about your surgery matters, until he places the final stitch, absolutely no phase of your surgery is performed by anyone other than Dr. Mayfield. Dr. Mayfield will see you and your family before surgery to describe the course of the day and answer any last minute questions that you may have. He will be at your side continuously, from the initiation of anesthesia to your arrival in the recovery room. In the case of lengthy surgery, those accompanying you are thankful to be reassured by the operating room staff at regular intervals about your condition and the progress of the procedure. Although you may not remember as you awaken from anesthesia, Dr. Mayfield will visit with you in the recovery room to be sure that you are comfortable and that your needs immediately following surgery are being addressed. 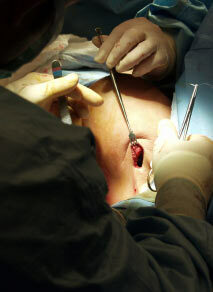 Dr. Mayfield believes that there is no other way for a surgeon to perform when it comes to something so important.